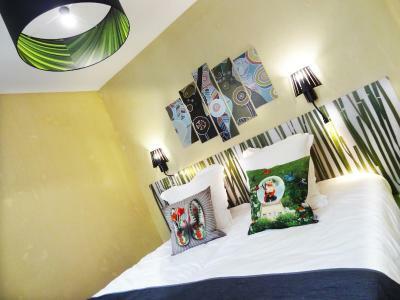 Lock in a great price for Le Pavillon Hotel – rated 8.8 by recent guests! The property was so cute! I felt like a local. 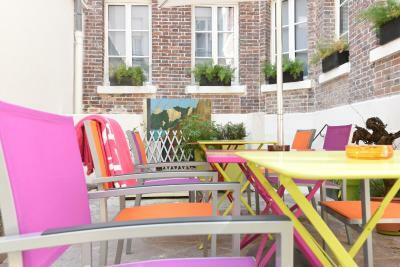 It is about a 15 minute walk from the Eiffel Tower and a 10 minute walk from the metro. 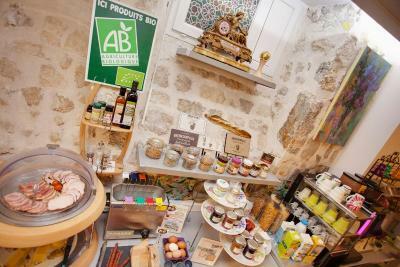 There are plenty of cafes, grocery stores, and retail stores nearby. The staff was amazing! Very helpful in every way possible. The location alone is priceless. And the hotel is wonderful. The rooms are immaculate, the bed divine, the shower is wonderful, and the delicious, locally sourced breakfast was so great. 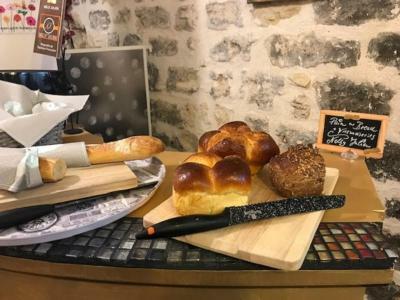 We had fresh juice and just-baked croissants every morning! The staff was super friendly. This hotel is just incredible. 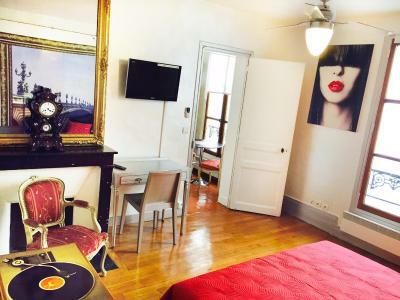 This will be the place I stay any time I’m lucky enough to return to Paris. Great location, quiet, yet lots of restaurants nearby. 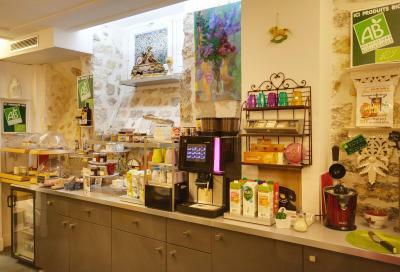 The staff was friendly and helpful, and excellent breakfast. excellent location, the staff very helpful, friendly and knowledgeable. The staff was very friendly, accomodating, and spoke excellent english. They always had a genuine smile and a welcoming voice any time we past by the counter. We were bumped up to a more spacious room free of charge (not sure why). The space had a studio-in-San-Fran feel to it. However, they were able to fit a queen size bed comfortably, and the shower was very big for what space they had. The room is built very effeciently with a modern/antique-ish look. Overall, great experience. Comfortable bed, friendly staff, great location. 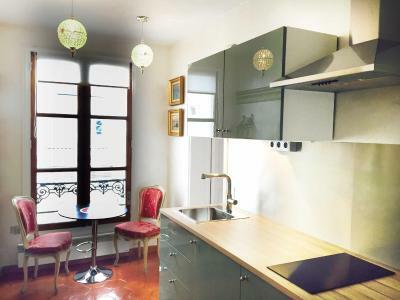 Near bars, restaurants, bakeries, and the Eiffel Tower; all in walking distance. Our room was absolutely gorgeous, clean, and comfortable. We were able to book the room last minute after having gone through a horrible Airbnb experience. We were pleasantly surprised at how nice our room was, and the staff were so friendly. 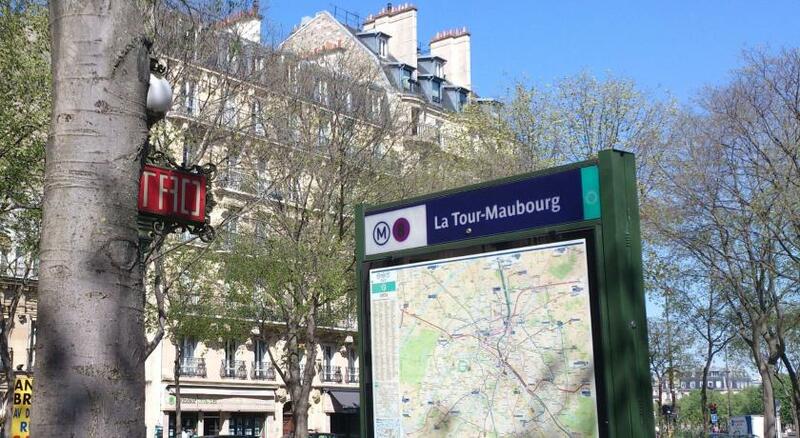 Also, it’s a short walk from the Eiffel Tower! Very well decorated and good quality furnishings. Great location and very quiet even though close to major sights. Staff was friendly and allowed us to keep bags there after checkout. The location is perfect. Very close to a Metro station and walkable to many places. The area is quiet with a neighborhood feel. 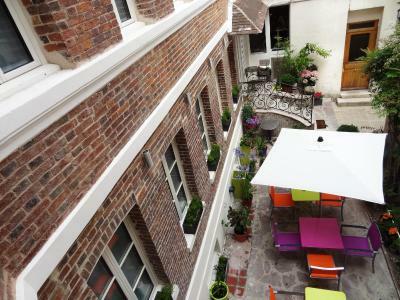 One of our top picks in Paris.Le Pavillon hotel is in a former convent and is in the heart of Paris’ 7th district in the Saint-Dominique area. 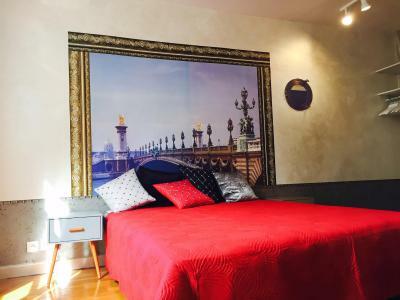 It's just a few minutes walk from the Tour Eiffel and Les Invalides Museum. The rooms have exposed stone and the property has a floral courtyard with a private patio. Rooms feature eco-friendly, double glazing windows, parquet floors and carpet. 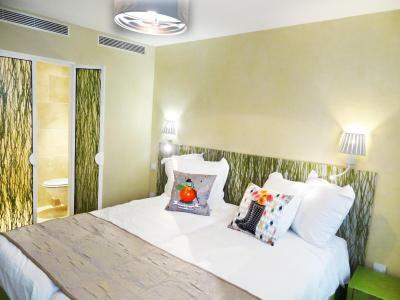 They are also soundproof and include a minibar, safe, telephone, flat-screen TV and tea and coffee-making facilities. The private bathroom has a hairdryer. 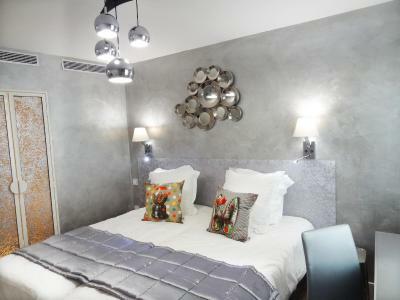 There are also 3 rooms adapted for guests with electromagnetic sensitivity. Le Pavillon has a 24-hour front desk and can arrange an airport shuttle service. Free Wi-Fi access is available throughout. 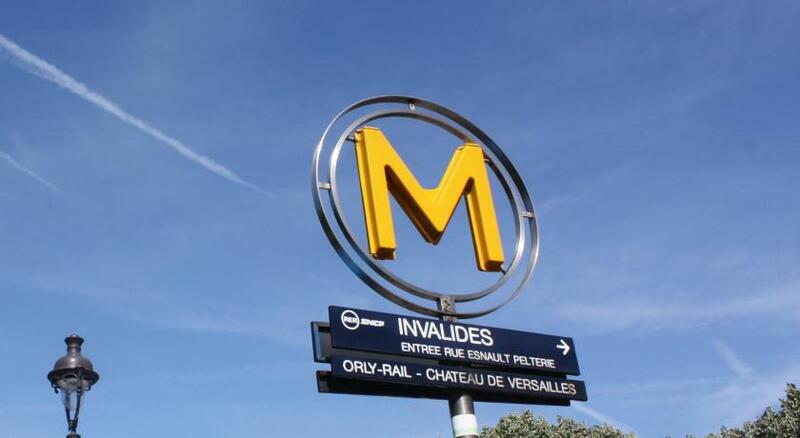 The hotel is within easy walking distance of many of the city’s metro and RER train stations providing access to the capital’s attractions. 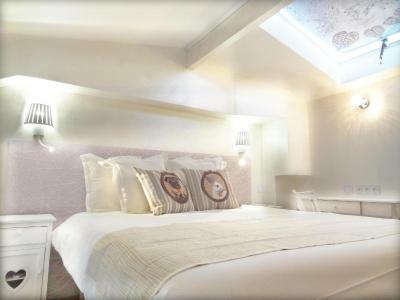 When would you like to stay at Le Pavillon Hotel? 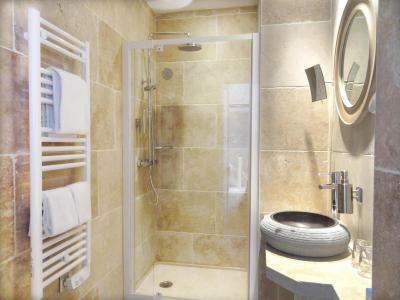 This simply decorated room features a telephone and a private bathroom with a shower. 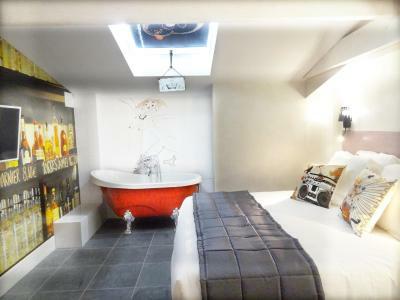 This simply decorated room features a TV and a private bathroom with a shower. 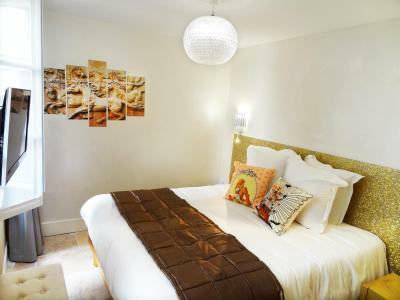 Set on 2 levels, this simply decorated room features a TV and an private bathroom with a shower. 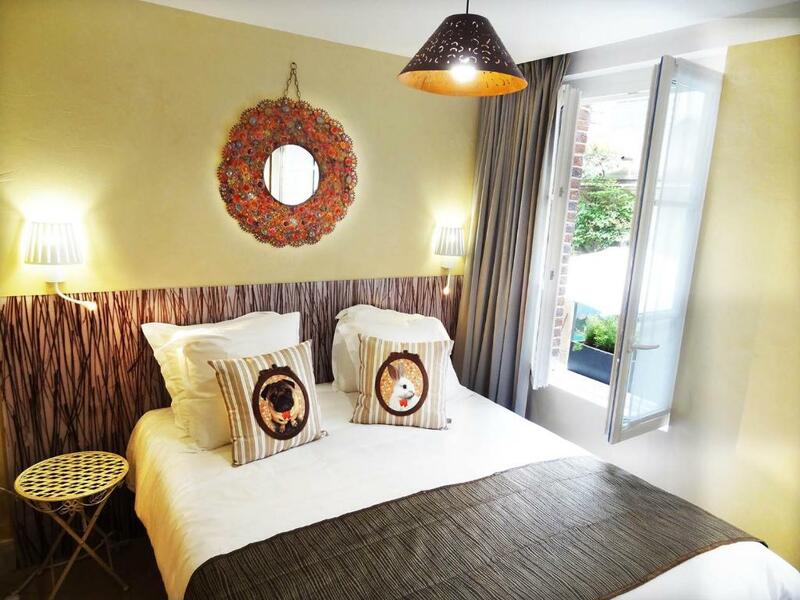 This triple room features a mini-bar, cable TV and kitchenware. 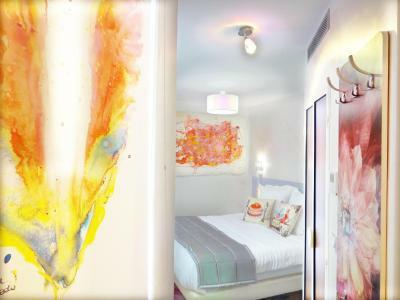 House Rules Le Pavillon Hotel takes special requests – add in the next step! Le Pavillon Hotel accepts these cards and reserves the right to temporarily hold an amount prior to arrival. The double room was extremely small. If you have 2 people get the twin room and push the beds together. Staff . Small garden area was pretty. Extremely comfortable bad . Employees are really nice and helpful. 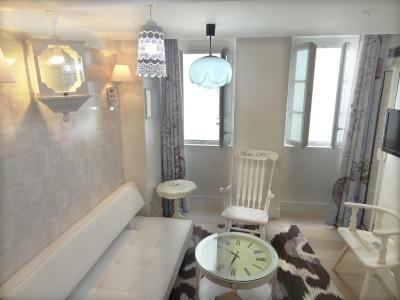 Location is perfect close to all turistic points , backeries , restaurants and metro / train station. It wasn't a major issue for me, but the hotel is located in narrowed street and also the room size is so small, I was by myself so that wasn't issue for me. Location is excellent, cozy place with really nice decoration I loved 'le chat noir' figures everywhere . Staff are friendly :). 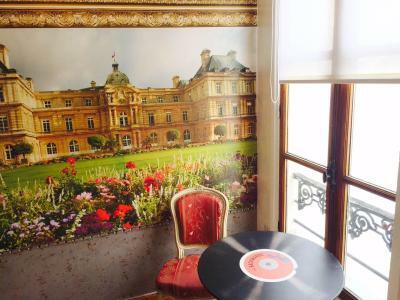 I really enjoyed my staying there and if I visit Paris again, I will stay at Hôtel Le Pavillon. Fridge noisy thus unplugged it, problem solved. 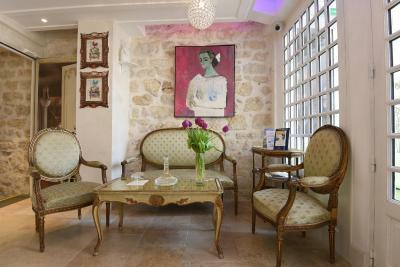 Lovely friendly staff, rooms with quirky decor and delicious breakfast with home made yoghurt. We really enjoyed our stay. The air-conditioning/heating controls in both of our rooms did not always seem to respond when we adjusted them, so the rooms were sometimes a bit too cool or warm. Delicious breakfast and very friendly staff. Super location. Ideally situated on a bustling street with food, clothing stores, book store, pharmacies and convenience stores. A regular two minute walk to a patisserie for our morning espresso and pastries was perfect. A convenient distance to the Eiffel Tower (seen from the street outside!). The actual entrance is off a courtyard style walkway so you aren’t entering directly from the road. Create in cold weather or with bags when arriving and leaving. The two receptionists that alternated shifts during our stay were pleasant and helpful. The lobby (even though decorated for Christmas and so without the decorations would’ve retained the warmth and character) was pretty, inviting and temperature warm when coming in from 1 degree C. Everything in the room worked. The mini bar was stocked with interesting variety of goodies. The room a good size (compared with similar price range we’ve stayed in before). Shower and bathroom a good size. 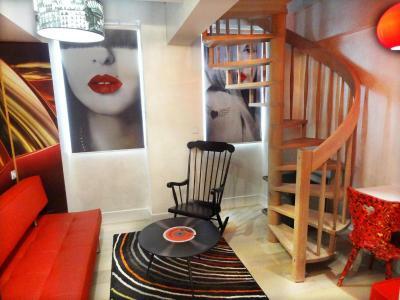 Wonderful room, amazing bed, characterful with 2 separate rooms joined by spiral staircase. Very friendly and helpful staff, and a superb location. Lovely locally sourced continental breakfast. 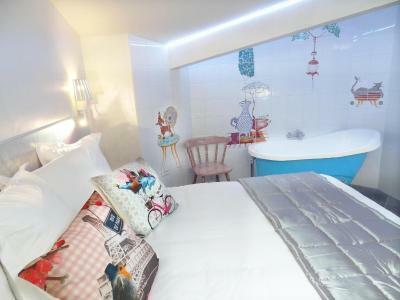 Too short beds (if you are longer than 1,80 m), very small room and bathroom. Noisy heating system. 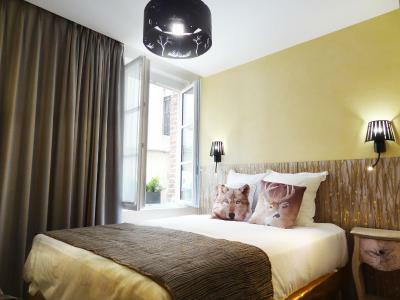 Cosy hotel with great location near the Eiffel tower and you can even see the Eiffel tower outside of the hotel. Eco-friendly hotel.